During your first visit, you will receive a thorough oral examination which will be used to detect the presence of decay (cavities), periodontal (gum) disease, oral cancer, and temporal-mandibular dysfunction (jaw joint problems). Any necessary radiographs will be taken to observe those areas in the teeth and jaw that cannot be seen visually. Also, intra-oral photos may be taken. We offer a home bleaching system you will take with you for results in 2 weeks. You can have a new smile with all-porcelain crowns (empressed material) on the anterior teeth. For the posterior, we use porcelain fused to metal or CEREC. 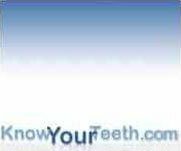 Tooth-colored fillings that are light cured to match your teeth. Amalgam: Silver-colored fillings. Resin fillings are more durable then amalgam fillings. Recommendations for periodontal treatment are determined by the findings of the periodontal examination. Patients with healthy pocket depths and limited bleeding can be treated with a prophylaxis (routine cleaning) to maintain health and remove unsightly stain and tartar. Patients with significant pocketing and bleeding gums have an active periodontal infection which will require more comprehensive treatment. The severity of disease will determine whether the patient can be treated in our office by scaling and root planning (deep scaling with anesthetic) or if the patient needs a referral to a gum specialist for a surgical evaluation. Upon completion of active periodontal treatment, patients with a history of periodontal disease are best maintained by supportive periodontal visits 3 to 4 times each year.